Anyone else just *pee your pants* excited that fall is here? I don't know how long you've been reading this little blog, but last year, Chase & I were overseas living on an island in the Indian Ocean -- no autumn -- and it was so hard! I think seasons are beautifully & perfectly created by our Creator and are meant to be experienced in their highest capacity. Growing up in Texas, we had cold and hot...which is one of the many reasons I LOVE Colorado! The sun is setting earlier, the weather is getting cooler, the mornings are crisp, pumpkins are outside of grocery stores, mustard & rust hues are adorning more and more outfits, people's Saturdays are consumed with college football (whoop! ), scarves are being wrapped around necks, and boots are being worn on the daily. LOVE fall! And your outfit, and your skirt! I'm dying... made it?! So so good! i love all your boots! Your boot collection is drool worthy. 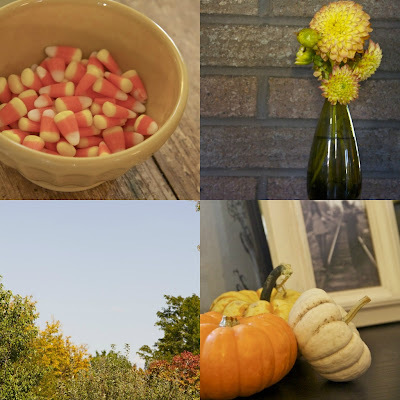 I am so excited about Fall!! I love your boot collection!! I can't wait to pull out mine! 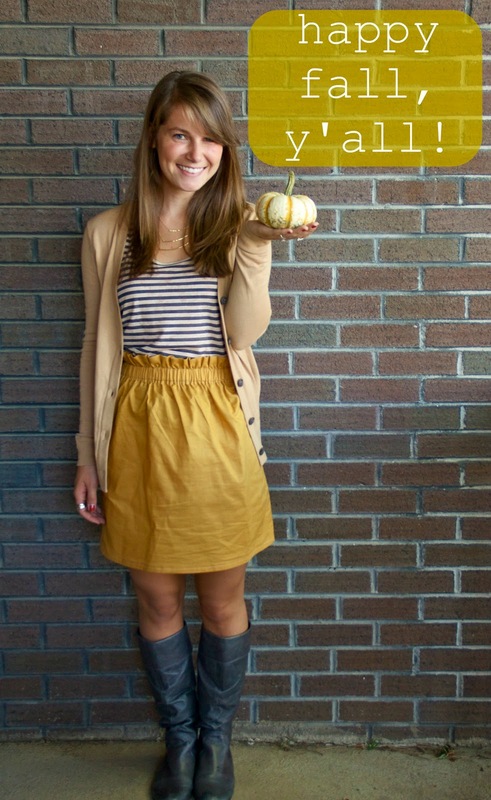 Care to share how you made your skirt? Pattern you found? made it up yourself? Love it and want to make myself one ;) Found you via "twitter" recommendations ;) Glad I did! i love your line up of boots picture at the very end. so darling. i'm super impressed by your sewing skills, too! that skirt is awesome. i'm a fall fanatic. can't get enough of it. love your sweet blog! I'm so jealous of the fall weather you are experiencing in Colorado. This probably comes as no surprise, but it's still hot in Austin, Texas. Ugh! I bought a new pair of boots I am dying to wear. Anyway, enjoy the beautiful weather/color palette. I love it all. I just moved to CA from OR and there is NO fall here. :( I am terribly homesick for fall. That skirt is AMAZING! 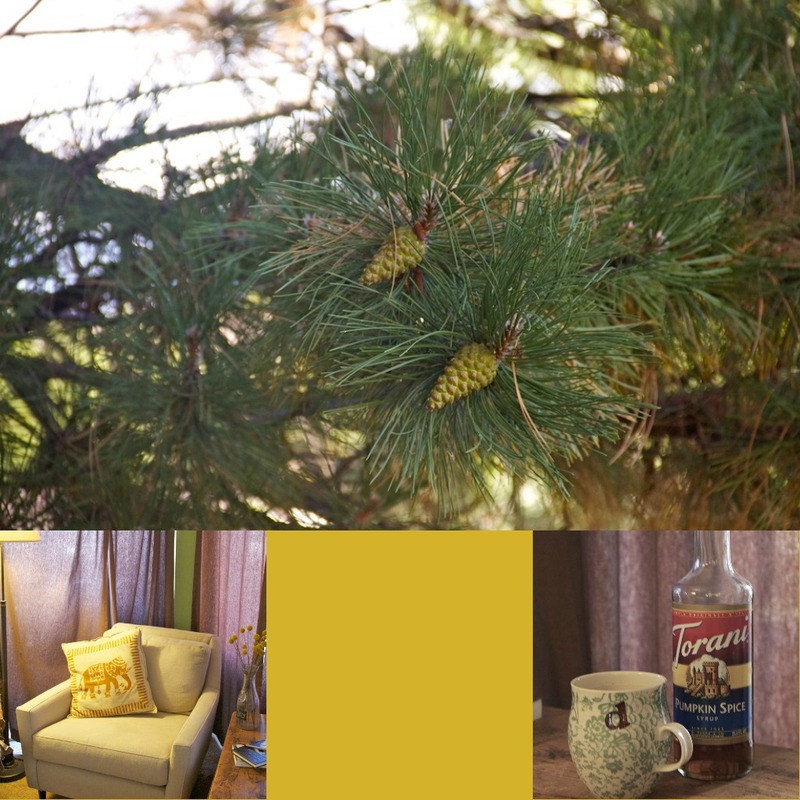 Would you consider making another for a bloggy friend? 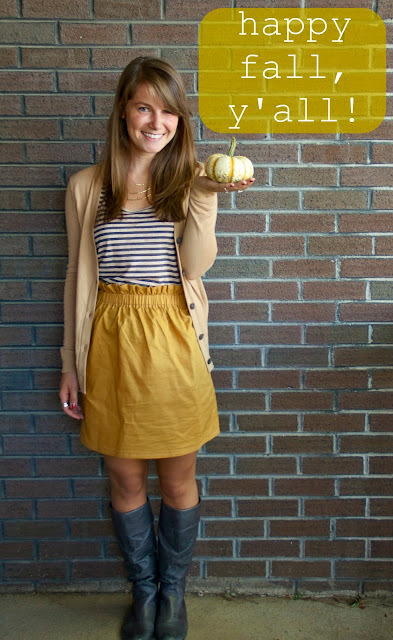 I totally intend on dressing in colors of fall even if the weather here doesn't cooperate! i cannot believe that was last autumn that you guys were overseas. time goes by so fast - that feels so long ago! loved this post, sweet friend! don't apolgize for the silliness; i love <3 posts like these! fall is HERE, kim :D i feel so alive, hahaha! I am SO excited it's fall The colors here right now are AMAZING. ive been looking for grey flat boots!!! i want yours!!!! do you know what the style is?? It's very comforting to see you don't have black boots...I have one pair that I hardly wear. 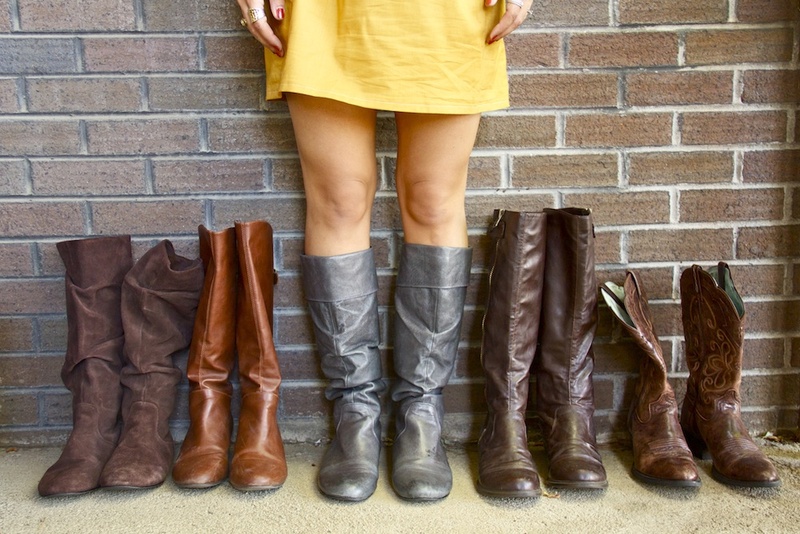 I love brown boots and they're what go with my wardrobe. Gosh, I love fall and wearing boots! I love that you say y'all so much! I thought you were a native Colorado gal, so I love hearing you've got southern roots. I am yearning for constant cooler temps so I don't regret wearing boots at 2pm! Your boot collection is awesome. I need me some new boots! This is Sara Stock, I just don't have a blog to comment from. 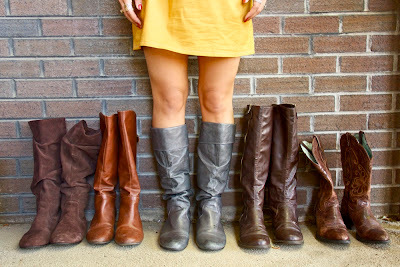 What brand is the dark brown pair of boots second from the right?? I really like those! Looove your skirt! I just clicked on the post to find out where it was from...the style and color is spot on! And with the striped tank....L.O.V.E. I really think you need to share how you made that skirt! I would be very appreciative! Seriously. I can't get over this last picture. Adorable!